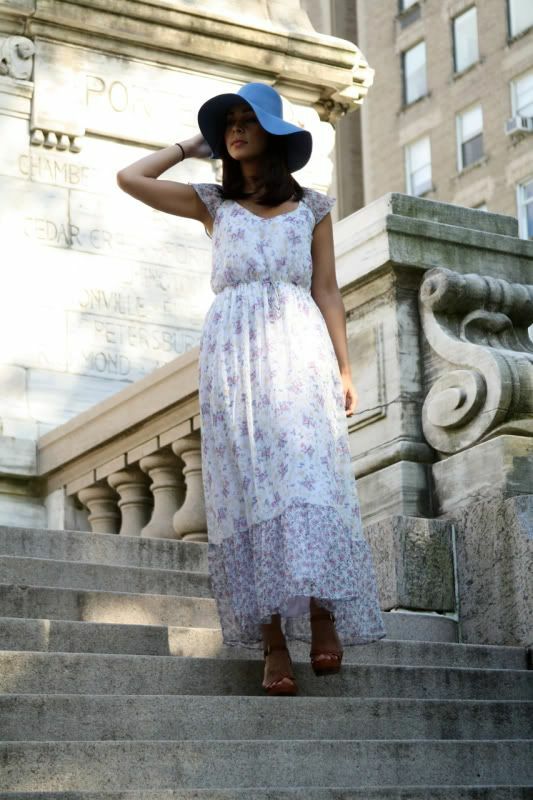 Wearing Zara dress, American Apparel floppy hat, and Michael Kors sandals. You are just pure gorgeousness in this dress! Wow, one of my favorite outfits ever of yours. I absolutely loooove the 5th picture, perfectly captures summer for me. :) You look gorgeous. you look amazing!! Love the place where you took the pictures as well it goes with the theme! I love that dress! you look simply amazing! Love the hat! very chic! 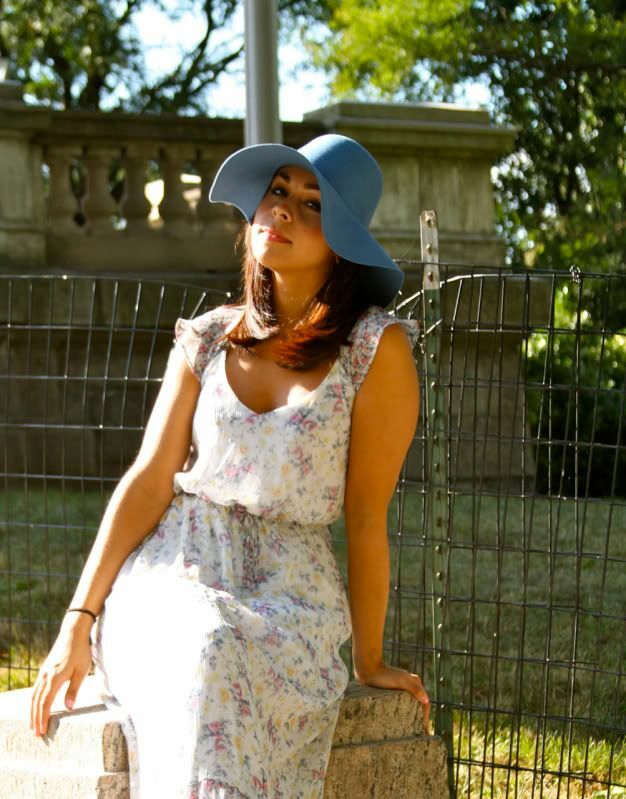 The dress is beautiful but I'm totally in love with your American Apparel floppy hat! Beautiful dress, love the hat with it. You look stunning! Oh wow such a beautiful dress! The hat and shoes look perfect with it! Great look, I love that hat. You have such a fabulous style, really like your blog! Love the whole look! You look great as always! and these shoes are awesome! that dress is beautiful, just wow Delmy. I luv ur dress & heels!!! So fab! just lovely dvrling! i went into my aa and they don't have those hats in yet :( i want to try it on first before i purchase. does it make your head sweaty? this is so angelic. you look beautiful. I love those shoes they are fierce!!!! you're so lovely! i love your hair!!! You're such a beautiful girl! & I love this dress! Lovely hat, I've been searching for one just like that! lovely dress! i just got a dress sort of like that as well! I love your dress it makes me want to wear my new vintage sheer dress even more. fab! love the see through effect, so summerish patterns, just adorable! So so so beautiful dress and hat...Gorgeous look! Thanks ! i'm in love with your second to last picture, so adorable. You look wonderful! I am so excited that I see a smile as opposed to the gloomy looks you have been posting...I kept you in my prayers and hope everything is looking up for you. Wow! Perfect summer look!!! Very inspiring!! you look so cute! now how are those MK sandals? I really wana get a pair but i hear they tend to be uncomfortable..is this true?? I really LOVE yours! Very pretty and feminine. I love the dress and the sandals are gorgeous with it. I love your style!you are so beautiful! Please can you make photos of your closet/bags and shoes? woul like to se how many things you have. Absolutely gorgeous shoes! I love them! Great Dress and overall look. Those heels are killer!!! Stunning girl in gorgeous outfit. I love your shoes. This heels are sooo beautifull! Nice blog. Love the floppy AA hat and MK spikes! You're just adorable! that floppy hat is my favorite! Great style...an inspiratin! Can't wait for next post!!! I am loving that hat and the way you put it together. It's not matchy matchy and it's absolutely adorable! Gotta love Zara.